restored 1981 Roger Jones; missing pipework replaced 1987 Roger Jones. 1 manual, 7 speaking stops, 1 coupler, tracker. Man: 8.8.8.4.4.2. Ped: 16. Johann Carl August Krüger was born near Berlin in 1814 and migrated to South Australia in 1848. He only lived in SA for a couple of years before moving to Victoria. It appears that he built two organs when in SA but only this organ survives. The pipework may have been built by him, his metal pipes possibly being the first made in SA. 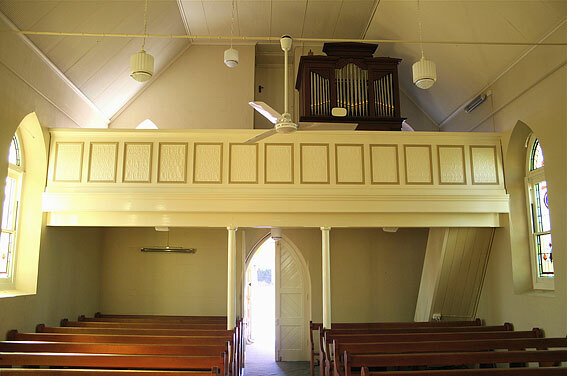 This organ was built c. 1850 and it was originally located in the west end gallery of Herberge Christi Lutheran Church, Bethany. While there it had a peadlboard and a pedal stop of 8' pitch was added to it as well as some repair work in 1880 and 1899. 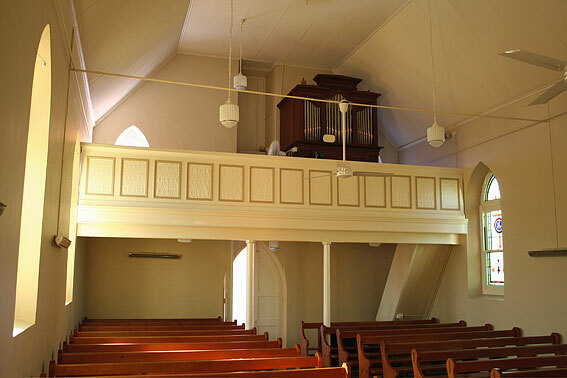 The organ was moved to St Thomas' Lutheran Church, Stockwell in 1928/9 and various alterations were made to it by the Adelaide organbuilder J E Dodd at this time. These changes included the transposition of the pitch one semitone lower and the changing of the 8' pedal stop to 16'. 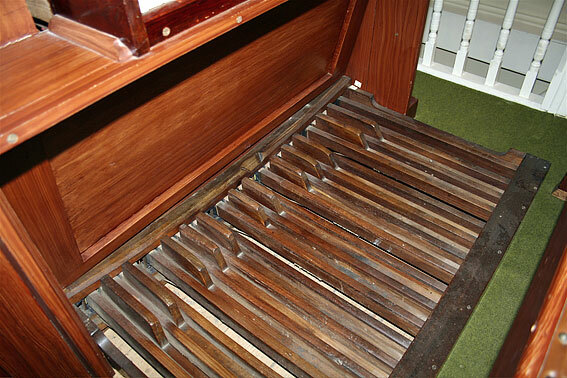 By 1980 deterioration had made the instrument virtually unplayable. It was restored by Roger Jones in 1982 and its tonal excellence has been revived. 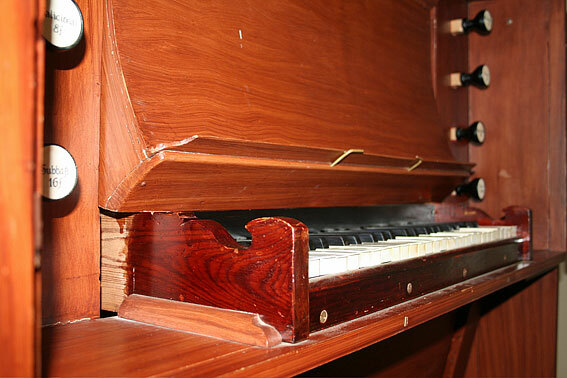 The organ consists of a single manual of four octaves and a pedalboard of one stop. The specification comes from the 1986 OHTA Conference booklet. 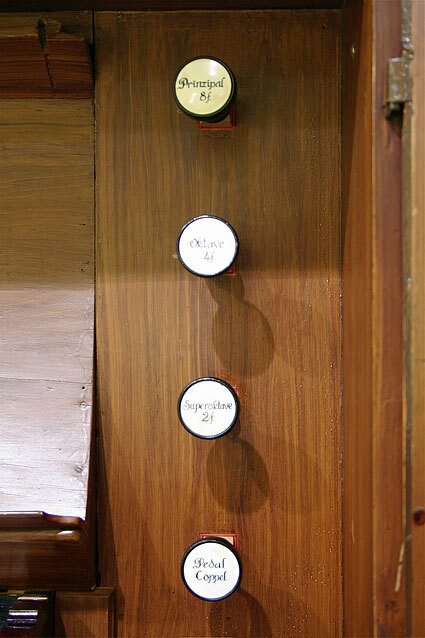 The organ at Stockwell came from Bethany but its provenance is not absolute. Comparison with an instrument now in the museum at Tanunda probably confirms that the same builder, J.C.A. 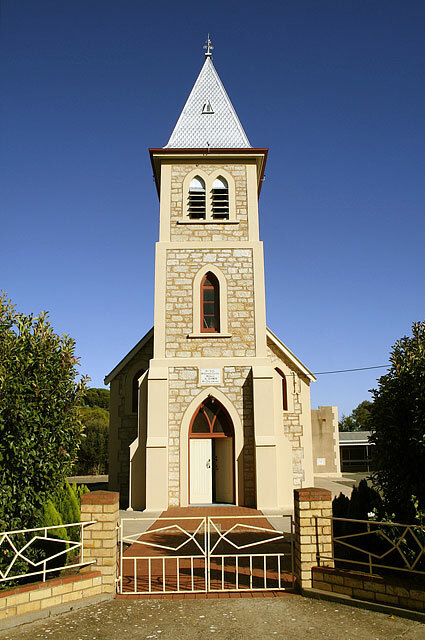 Krüger, an early settler of the Western District of Victoria, who resided briefly in South Australia, made it. 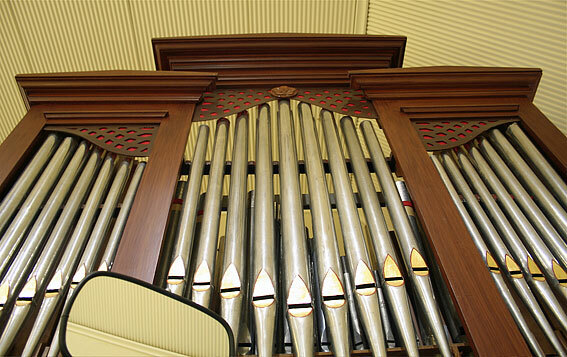 The Lutheran church of St Thomas, the doubting apostle, acquired the organ in 1938. 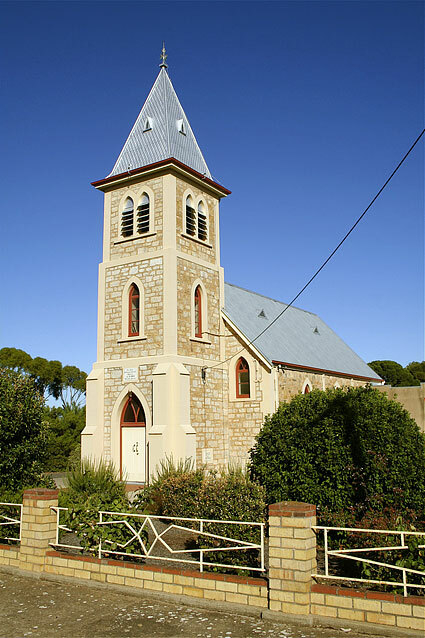 The first church serving the settlers was also a Christian school situated to the north-east of the town. The Salem congregation, which had used the building for worship each Wednesday evening and Sundays since 1856, finally outgrew the facility. Only 11 feet wide and 42 feet long (3.36m x 12.8m), with additional rooms on the southern end used for residential purposes, it was no longer adequate. In Pastor Hossfeld’s words, “the little clay church became dilapidated under the growing tooth of time and the necessity of a new church made itself felt more and more.”3 Thus the decision to build the current church in 1903. Some doubt had apparently been expressed as to whether a church would be built in Stockwell and, as folklore has it, that led to the naming of the church.4 The doubts were unfounded for on 7 August 1904 the church of St Thomas was dedicated. 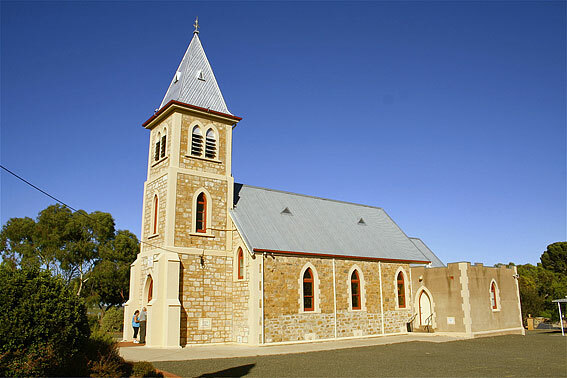 With a vestry added to the rear, the church itself was 45 feet in length, 35 feet wide, with walls 14 ½ feet high (13.73m x 10.68m x 4.42m) to accommodate 250 persons. 25 years later preparations were being made to celebrate the occasion. Decisions were made to build a tower, provide new furnishings of altar, pulpit and lectern, and repaint the interior. The Boer family who now owned the mill presented a new bell poured in Bochum Germany (Tone E Measurements 30” x 23”). The day of celebration was to be Sunday 10 August 1929. Although earlier histories suggest the organ came from Bethany at this time,5 there is no mention of it. 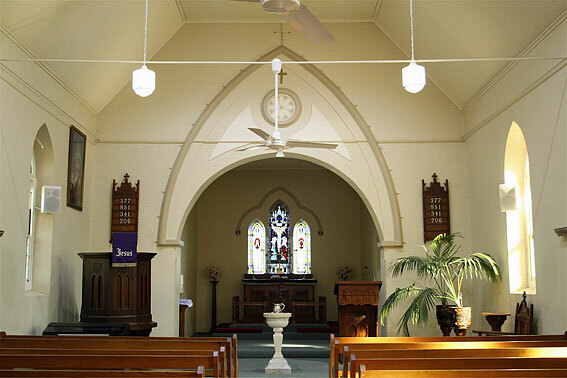 In fact, it was to be the congregation’s next project, realised nine years later with a dedication on 12 June 1938. J.E. 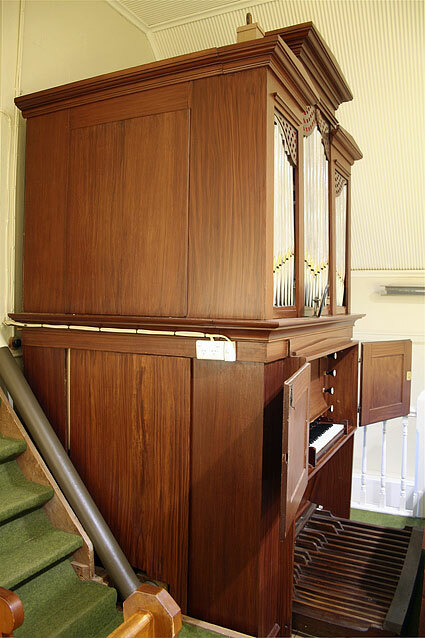 Dodd had acquired the organ from Bethany in 1929 as part payment for the installation of their new instrument. He allowed £75 for it. Though much has been written, its origins are obscure6. 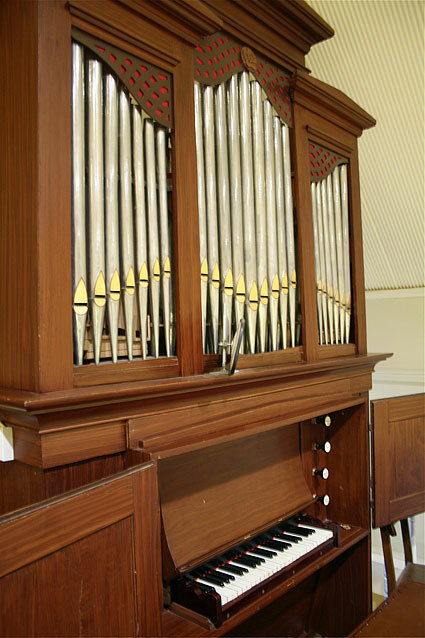 From comparison with another instrument, now in the museum at Tanunda, it is acknowledged to be the work of J.C.A. Krüger prior to his leaving for Western Victoria in May 1855. The earliest records of it being located at Bethany come from financial records that indicate it was subject to frequent repair from as early as 1861. By 1928 the Bethany congregation opted to purchase a new instrument rather than persevere with the repair of the old. By comparison of Stockwell to Hochkirch, Stiller concluded the organs shared the same builder. Similarities were to be found in all areas of pipework, action, soundboard, console and case. Most of the differences were attributed to Dodd’s alterations in 1929. 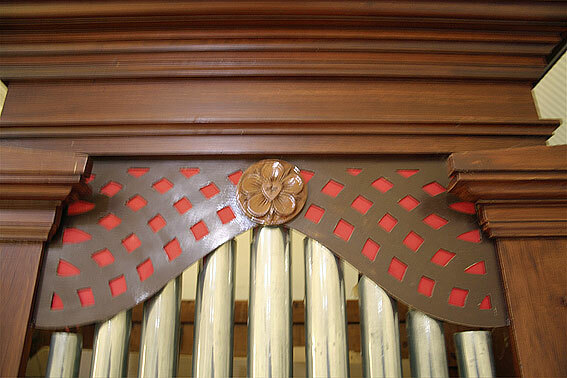 Stiller also noted that the pitch of the organ had been lowered. In 1918 the old organ was again thoroughly repaired and of course renovated before coming to Stockwell in 1938.15 Assuming Dodd lowered the pitch, this work may have been done by him at either time. 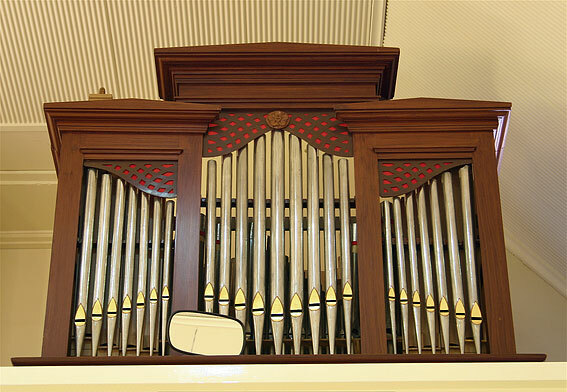 From at least 1912, Dodd’s instruments were pitched to the New Philharmonic standard, see, for example, Parkside Baptist Church, though the work is more likely to have been undertaken, as also the stop knobs, with the renovations of 1929. 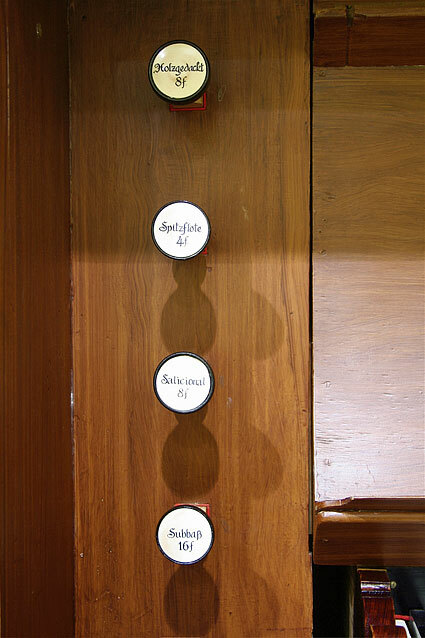 2 The surname is inserted here, as there may be a connection with the organ at Rosedale, which see. 6 see also section on Herberge Christi Church at Bethany. 13 Noted by Lutz, M., The Work Praises The Man (1996), p.6. 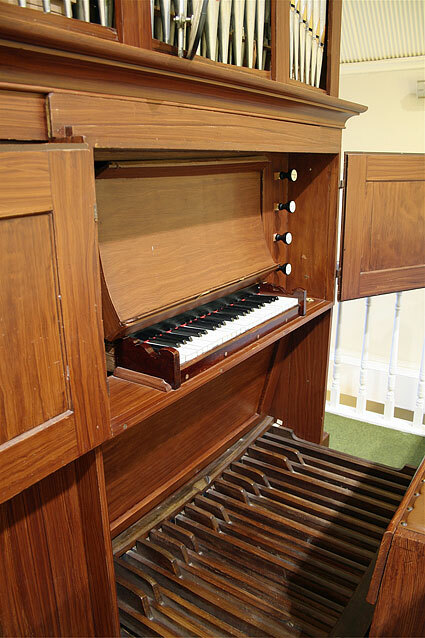 The extension of bass pipes and pedal clavier to the organ after 1929 can hardly be attributed to Rendall. 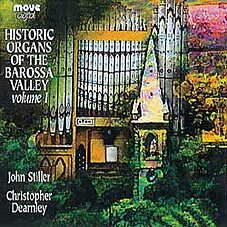 His last organ in South Australia before moving to NSW was built for G.S. Hale that same year, 1885. See also: Marananga. 16 St Thomas Church Stockwell Celebrating the 100th Anniversary Sunday August 8 2004, pp.29, 30, 32. There appears to be some confusion as to dates. Dodd aged 95 had died on 30 January 1952. All records from Waters have been destroyed so what was undertaken is unknown. 17 Kudinoff, M., op.cit., pp.7-11, 14, 15; memorial to Gladys Bartsch noted 2009.